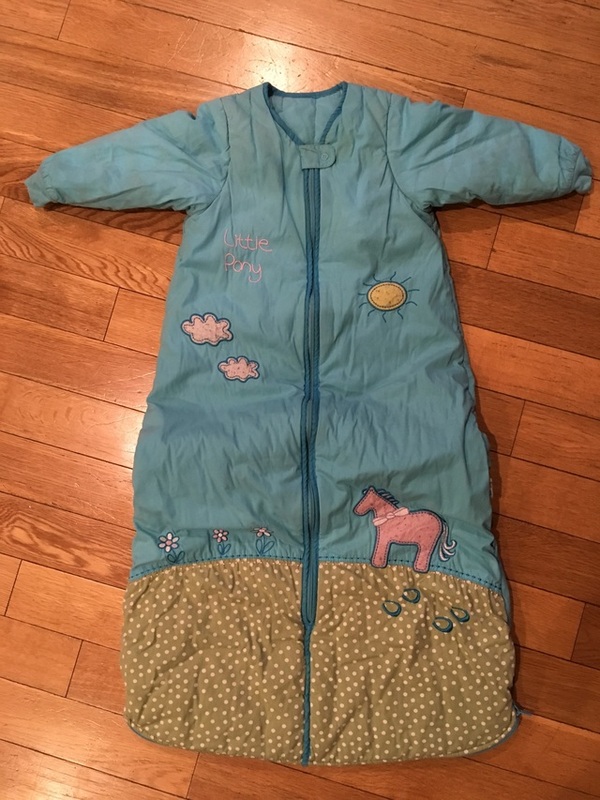 Keeps little one cozy all night so you get a better sleep too! Great for camping sleeping bag too. Bottom extends as they grow. Paid $225 and it’s genlty used.